Styx created a unique sound through their subtle combination of hard rock, prog rock and a healthy understanding of what makes a power ballad, powerful. Having first got together in the sixties and gone through several incarnations and band names they eventually settled on Styx in 1972. By 1975 they had signed to A&M Records and with records like 'Lorelei' from their debut, Equinox, for their new label they soon became a staple of AOR radio in America. Their 1976 follow-up, Crystal Ball helped to further their reputation and then in 1977 they released, The Grand Illusion. It was a monster album, eventually selling Triple Platinum, thanks in no small part to the success of 'Come Sail Away' on the singles chart. Their biggest hit on the American singles chart was 'Babe', which topped the chart; it also gave the band its breakthrough in Britain and many countries around the globe. In 1981 their concept album, Paradise Theatre made No.1 in America and No.8 in Britain. Kilroy Was Here was another top.3 album and Edge of The Century in 1990 marked the effective break-up of the band, although there have been some attempts at re-uniting in the last twenty years. At their best, and for a long time they never were anything but, they were one of the most interesting and creative rock bands to come out of America. They remain a go to band for many radio station programmers when they need a power ballad... or two. 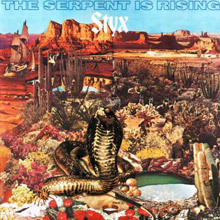 Early on, Styx's music reflected such then-current prog rockers as Emerson, Lake & Palmer and the Moody Blues, as evidenced by such releases as 1972's self-titled debut, 1973's Styx II, 1974's The Serpent Is Rising, and 1975's Man of Miracles. While the albums (as well as nonstop touring) helped the group build a substantial following locally, Styx failed to break through to the mainstream, until the track "Lady," originally from their second album, started to get substantial airplay in late 1974 on Chicago radio station WLS-FM. The song was soon issued as a single nationwide, and quickly shot to number six on the singles chart, as Styx II was certified gold. By this time, however, the group had grown disenchanted with its record label, and opted to sign on with A&M for their fifth release overall, 1975's Equinox (the band's former label would issue countless compilations over the years, culled from tracks off their early releases). On the eve of the tour in support of the album, Curulewski abruptly left the band, and was replaced by Tommy Shaw (sadly, Curulewski would pass away from an aneurysm in 1988). Shaw proved to be the missing piece of the puzzle for Styx, as most of their subsequent releases throughout the late '70s earned at least platinum certification (1976's Crystal Ball, 1977's The Grand Illusion, 1978's Pieces of Eight, and 1979's Cornerstone), and spawned such hit singles and classic rock radio standards as "Come Sail Away," "Renegade," "Blue Collar Man," "Fooling Yourself," and the power ballad "Babe." Despite the enormous success of "Babe," it caused tension within the group -- specifically between Shaw and DeYoung (the latter of whom was the song's author), as the guitarist wanted Styx to continue in a more hard rock-based direction, while DeYoung sought to pursue more melodic and theatrically based works. This led to DeYoung's brief ouster from the group (although it was kept completely hush-hush at the time), before a reconciliation occurred. The bandmembers decided that their first release of the '80s would be a concept album, 1981's Paradise Theater, which was loosely based on the rise and fall of a once beautiful theater (which was supposedly used as a metaphor for the state of the U.S. at the time -- the Iranian hostage situation, the Cold War, Reagan, etc.). Paradise Theater became Styx's biggest hit of their career (selling over three million copies in a three-year period), as they became one of the U.S. top rock acts due to such big hit singles as "Too Much Time on My Hands" and "The Best of Times." But the behind-the-scenes bickering only intensified in the wake of the album's success, as DeYoung was now convinced that a more theatrical approach was the future direction for Styx. Shaw and the rest of the group begrudgingly went along, and while the resulting follow-up was another hit, 1983's sci-fi-based Kilroy Was Here (which told the story of a future where rock & roll was outlawed, almost a carbon copy of the story line of Rush's 2112), the album would eventually lead to the group's breakup -- as the ensuing prop-heavy tour seemed to focus more on scripted dialogue and lengthy films than good old rock & roll. 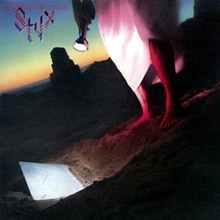 A live album, Caught in the Act, was issued in 1984, before Styx went on hiatus, and the majority of the bandmembers pursued solo projects throughout the remainder of the decade. DeYoung issued 1984's Desert Moon (which spawned a moderate hit single with its reflective title track), 1986's Back to the World, and 1988's Boomchild, Young released 1986's City Slicker, while Shaw put forth several solo sets -- 1984's Girls with Guns, 1985's What If?, 1986's Live in Japan, and 1987's Ambition. Shaw then formed Damn Yankees along with former Night Ranger bassist/singer Jack Blades, guitarist Ted Nugent, and drummer Michael Cartellone, a group that enjoyed commercial success right off the bat with its self-titled debut in 1990 (due to the hit power ballad "High Enough"), before issuing an unsuccessful sophomore effort two years later, Don't Tread. During Shaw's tenure with Damn Yankees, Styx had re-formed with newcomer Glen Burtnik taking the place of Shaw -- issuing a new studio album in 1990, Edge of the Century, which spawned yet another hit power ballad, "Show Me the Way." But the Styx reunion was a fleeting one, as the group's members went their separate ways shortly thereafter -- with DeYoung going on to play Pontius Pilate in a revival of Jesus Christ Superstar (and issuing an album of Broadway show tunes, 1994's 10 on Broadway), while Young issued a pair of solo discs (1994's Out on a Day Pass and 1995's Raised by Wolves), and Shaw teamed up with Jack Blades for the short-lived outfit Shaw Blades (issuing a lone recording in 1995, Hallucination). A re-recording of their early hit "Lady" (titled "Lady '95") for a Greatest Hits compilation finally united Shaw with his former Styx bandmates, which led to a full-on reunion tour in 1996. But drummer John Panozzo fell seriously ill at the time (due to a long struggle with alcoholism), which prevented him from joining the proceedings -- and he passed away in July of the same year. Although grief-stricken, Styx persevered with new drummer Todd Sucherman taking the place of Panozzo, as the Styx reunion tour became a surprise sold-out success, resulting in the release of a live album/video, 1997's Return to Paradise, while a whole new generation of rock fans was introduced to the grandiose sounds of Styx via a humorous car ad which used the track "Mr. Roboto," as well as songs used in such TV shows as South Park and Freaks & Geeks. The group even stuck around long enough to issue a new studio album, 1999's Brave New World, before friction within the band set in once again. With the other Styx members wanting to soldier on with further albums and tours, DeYoung was forced to take a break when he developed an uncommon viral ailment, which made the singer extremely sensitive to light. DeYoung was able to eventually overcome his disorder, but not before Shaw and Young opted to enlist new singer Lawrence Gowan and issued a pair of live releases in the early 21st century -- 2000's Arch Allies: Live at Riverport (split 50-50 between Styx and REO Speedwagon) and 2001's Styx World: Live 2001. DeYoung began touring as a solo artist at the same time, and eventually attempted to sue Shaw and Young over the use of the name Styx (the lawsuit was eventually settled in late 2001). Around the same time, Chuck Panozzo confirmed rumors that he had contracted AIDS (but was battling the virus successfully), while the turbulent career of Styx was told in an entertaining episode of VH1's Behind the Music. In the spring of 2003, a new studio album featuring Gowan arrived in stores. For Cyclorama, Styx consisted of Shaw, Young, Burtnik, Sucherman, and Gowan. The album also featured guest appearances from John Waite, Brian Wilson, and actor Billy Bob Thornton. By the end of the year, Burtnik was out of the band and replaced by former Bad English and Babys member Ricky Phillips, although Panozzo did play with the group on selected live dates. 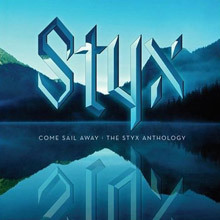 The two-CD Come Sail Away: The Styx Anthology from 2004 did an excellent job representing the band's career, while 2005's double-disc The Complete Wooden Nickel Recordings collected the band's first four albums. That same year, Styx released the cover version-filled Big Bang Theory, featuring some of their favorite picks from "the Great Rock Songbook." Other than being their first platinum-selling album, The Grand Illusion led Styx steadfastly into the domain of AOR rock. 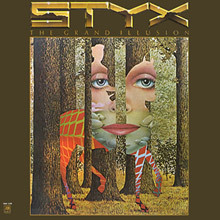 Built on the strengths of "Come Sail Away"'s ballad-to-rock metamorphosis, which gained them their second Top Ten hit, and on the high harmonies of newcomer Tommy Shaw throughout "Fooling Yourself," The Grand Illusion introduced Styx to the gates of commercial stardom. The pulverized growl of "Miss America" reveals the group's guitar-savvy approach to six-string rock, while De Young pretentiously struts his singing prowess throughout the title track. Shaw's induction into the band has clearly settled, and his guitar work, along with James Young's, is full and extremely sharp where it matters most. Even the songwriting is more effluent than Crystal Ball, which was released one year earlier, shedding their mystical song motifs for a more audience-pleasing lyric and chord counterpoise. Reaching number six on the album charts, The Grand Illusion was the first to display the gelled accomplishments of both Tommy Shaw and Dennis De Young as a tandem. Styx's feisty, straightforward brand of album rock is represented best by "Blue Collar Man" from 1978's Pieces of Eight, an invigorating keyboard and guitar rush -- hard and heavy, yet curved by Tommy Shaw's emphasized vocals. Reaching number 21, with the frolicking romp of "Renegade" edging in at number 16 only six months later, Pieces of Eight maintained their strength as a front-running FM radio group. Even though these two tracks were both mainstream singles, the rest of the album includes tracks that rekindle some of Styx's early progressive rock sound, only cleaner. Tracks like "Sing for the Day," "Lords of the Ring," and "Aku-Aku" all contain slightly more complex instrumental foundations, and are lyrically reminiscent of the material from albums like The Serpent Is Rising or Man of Miracles, but not as intricate or instrumentally convoluted. While the writing may stray slightly from what Styx provided on The Grand Illusion, Pieces of Eight kept their established rock formula in tact quite firmly. 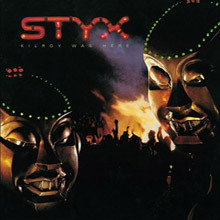 Although Dennis De Young's concept about man being replaced by robots in the near future failed to get off the ground, Kilroy Was Here still harbored two of the band's best singles. "Don't Let It End" almost captures the same endearing qualities as their number one hit, "Babe," did four years earlier, peaking at number six, and the synthesized novelty of "Mr. Roboto" went all the way to number three, accompanied by a lively and rather extravagant Dennis De Young at the helm. It was the song's mechanically spoken chorus and slight disco beat that made it Styx's fifth Top Ten single up to that point, overshadowing the rest of the album's tracks. The band’s ninth studio album was released in 1979 and it, like many of its predecessors, was produced by the band themselves. However, for this album they started using a new studio Pumpkin Studios in Oak Lawn, Illinois. It also marked something of a departure away from more prog-rock influences into the band becoming a straight-ahead Power-pop band. The album's first single was Styx's only US No.1 "Babe" which Dennis DeYoung wrote for his wife Suzanne. ‘Borrowed Time’ became the album’s second single but was a disappointment after the huge success of ‘Babe’, which had also made No.6 in the UK. Cornerstone became Styx's first US Top 5 album peaking at No.2 on the Billboard album chart and their first hit album in the UK. The 1972 self-titled album from Chicago-based quintet Styx could be considered an ambitious outing for any band's debut. Clearly influenced by the primarily U.K-centered progressive rock scene, Dennis DeYoung (keyboard/vocals) hooked up with twin siblings Chuck Panozzo (bass/vocals) and John Panozzo (drums/percussion/vocals) in a combo named the Tradewinds during the late '60s. The first lineup of Styx began to emerge once John Curulewski (guitar/synthesizer/vocals) and James "J.Y." Young (guitar/vocals) joined up, initially surfacing under the moniker TW4. Local gigs in and around the Windy City led them to the attention of Bill Traut, a Chicago musician/producer whose regional record label Wooden Nickel was distributed throughout North America by RCA. Traut was actively seeking new talent and TW4 was just what he was looking for to compete with the likes of Emerson, Lake &amp; Palmer, Yes and Rush. With some tweaking, TW4 evolved into Styx and began work on this, their inaugural long-player. Immediately striking is the strong musicianship that DeYoung and Curulewski -- both classically trained -- bring to the project. The four-part "Movement for the Common Man" is impressive considering the dynamics of its scope -- ranging from the hard-hitting aggressive "Children of the Land" to the audio vérité "Street Collage." The latter section includes dialogue and conversations with everyday people and effortlessly flows into a chorus of Aaron Copeland's "Fanfare for the Common Man." The nearly quarter-hour suite concludes with the brisk and inspired "Mother Nature's Matinee." "Right Away" is a mid-tempo bluesy number with formidable slide guitar licks from Young that could sit contently beside the smooth Southern comfort of Lynyrd Skynyrd's Gary Rossington. DeYoung's electric organ similarly takes on a soulful vibe recalling Booker T. Jones of Booker T. &amp; the MG's fame. Although comparatively mellow, the ballad "What Has Come Between Us" is also more complex and intricate, providing an exceptional platform for their nascent vocal harmonies. The catchy and propulsive "Best Thing" became Styx' incipient excursion into the pop singles chart, landing at 82 nationally and scoring even better regionally. Perhaps the biggest surprise is the cover of George Clinton's "After You Leave Me," which is turned into a suitably open-throttled ending to Styx' commendable introductory affair. 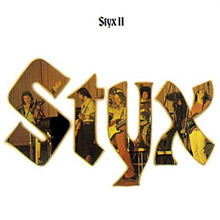 For Styx II (1973), the Chicago-based quintet continue much in the same vein as their eponymous debut. The primary difference was the inclusion of the Dennis DeYoung power ballad "Lady" -- which catapulted the combo into the Top Ten pop singles survey at an admirable number six. The collection was their first to rely entirely upon band-penned originals, kicking off with the rousing "You Need Love." The performance sounds similar to Queen's earliest sides, especially James Young's commanding vocals which provide a distinct and dramatic quality. The aforementioned "Lady" is equally dynamic, contrasting the delicate and ethereal introduction with the comparatively emphatic conclusion. The extended "A Day" is an outlet for Curulewski's underrated skills as both a composer and singer. The brooding melody is fused to an aggressive instrumental centerpiece highlighting the dual fretwork of Curulewski and Young as they rival the Allman Brothers' synchronous string-benders Duane Allman and Dickey Betts. "You Better Ask" is a more predictable straightforward rocker, again displaying Curulewski's diversity and versatility, although beyond that the track is not really all that interesting. Conversely compelling is DeYoung's transcription of a Johann Sebastian Bach tune, titled here Little Fugue in 'G'. The overture is played to great effect on an organ in the sanctuary of the Cathedral of St. James, located just down the street from the recording studio. Engineers ran audio cables between the two, capturing the interlude live. 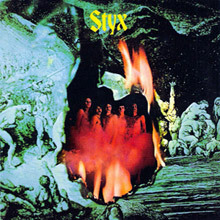 It takes the listener into another key entry, the seven-plus-minute "Father O.S.A.," "Earl of Roseland" and "I'm Gonna Make You Feel It" suitably bring Styx II to a close with a pair of hearty up-tempo harbingers, pointing toward the AOR direction that Styx would continue to explore on subsequent albums. 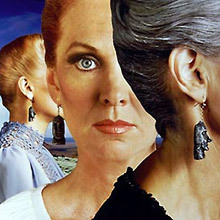 With the Top Ten pop hit "Lady" under their belts, Styx continued to blend interesting conceptual progressive elements into The Serpent Is Rising, their third LP and first band-co-produced offering. Although James "J.Y." Young had contributed significantly to Styx' self-titled debut, his compositions were conspicuously absent from the John Curulewski- and Dennis DeYoung-dominated Styx II, which had been issued only months earlier. Young's upbeat and commanding opener "Witch Wolf" firmly re-establishes him as a formidable writer, not to mention an intricate and skilled instrumentalist. While their progressive leanings would remain prominent in Styx' musical evolution, perhaps eager to build upon the national exposure afforded them by "Lady," much of the disc is less arty and more straight-ahead album rock. "Winner Takes All" bears some stylistic parallels to Queen as both have a flair for the dramatic. "22 Years" unquestionably foreshadows future Styx classics such as "Suite Madame Blue" and "Rockin' the Paradise." The distinctive dual-lead guitars of Curulewski and Young soar on the epic tale of "Jonas Psalter," while the memorable syncopated melody from "The Serpent Is Rising" proves the quintet had not entirely abandoned their prog rock origins. Similarly effective is DeYoung's baroque-flavored introduction to the lithe and limber "The Grove of Eglantine." The unusual ending is a combination of disparate elements. The electronic composition "Krakatoa" is a synthesizer progression from Paul Beaver and Bernie Kraus and was adopted by filmmaker George Lucas as the aural trademark of his THX theater sound system. It incongruously segues into a full 90 seconds of Handel's Hallelujah Chorus, proving that the combo were still willing to experiment with their identity and the expectations of their audience. 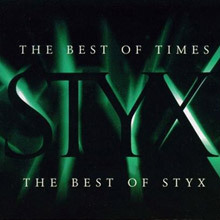 The British collection The Best of Times: The Best of Styx is a flawed but adequate overview of Styx's biggest hits. Most of the group's best-known songs are here, but they're sequenced out of order, and a few new songs, plus a re-recording of "Lady," are tacked onto the end of the disc. Remastered and repackaged, this is a treasure trove for die-hard Styx fanatics waiting for a proper reissue of their early works. But casual buyers best beware: this isn't the Styx that sang "Come Sail Away" or "Mr. Roboto," but a different though no less enjoyable group altogether. 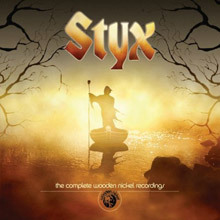 This two-disc set comprises their first four records under the Wooden Nickel imprint: Styx, Styx II, The Serpent Is Rising and Man of Miracles. While the arena rock anthems and compositional sensibilities are underdeveloped, the pomposity of their prog rock roots clearly shines through with the inclusion of "Fanfare for the Common Man," "Little Fugue in G" and the Hallelujah chorus from Handel's Messiah. It's also a document showcasing the evolution of their flare for theatrics and storytelling, which didn't entirely put them on par with their British and Italian prog rock counterparts, but close enough for people to take notice. This compilation really does tell the history of the band. A true Greatest Hits on 2CDs – 35 tracks in total. This album provides a thorough and accurate summary of Styx’s long and illustrious career.